APS has joined CAE in Dothan, Alabama to certify CAE instructors to deliver APS’ Upset Prevention and Recovery Training (UPRT) as part of the U.S. Army Fixed-Wing Flight Training program. Effectively delivered UPRT reduces the risk of Loss of Control In-flight, aviation’s leading cause of fatalities worldwide. Mesa, Arizona – September 15, 2016 – Aviation Performance Solutions LLC (APS) today announced it has been contracted by CAE to deliver Upset Prevention and Recovery Training (UPRT) as part of the U.S. Army Fixed-Wing Flight Training program in Dothan, Alabama. CAE’s inclusion of APS’ UPRT program for Army fixed-wing training will help reduce the risk of Loss of Control in Flight (LOC-I), the primary cause of aircraft fatalities worldwide. APS’ UPRT program will be part of the comprehensive U.S. Army Fixed-Wing Flight Training program that includes academic, simulator and live-flying training. All training will be conducted at CAE’s new Dothan Training Center currently under construction at the Dothan Regional Airport in Alabama. “It is a great honor to expand APS’ longstanding U.S. Army UPRT program into the new Army Fixed-Wing Flight Training program” said Paul BJ Ransbury, the president of Aviation Performance Solutions, “Together with CAE, we will take progressive steps to maximize air safety by providing Army pilots proven and effective upset prevention and recovery training that provides the knowledge and skills necessary to overcome aviation’s primary cause of aircraft fatalities, which is Loss of Control In-flight“. APS will base two senior APS UPRT instructors at CAE’s Dothan Training Center where they will train and APS-certify a portion of CAE’s cadre of instructor pilots to deliver UPRT on Grob G120TP aircraft and C-12 simulators. To date, more than 100 CAE instructors at commercial training centers and flight schools have received APS’ on-aircraft UPRT. In addition, the CAE-built C-12 King Air full-flight simulators (FFSs) to be used as part of Army fixed-wing training will feature Federal Aviation Administration (FAA) approved UPRT instructor stations. The comprehensive U.S. Army Fixed-Wing Flight Training program features live-flying training to support the transition of Army rotary-wing aviators to fixed-wing aircraft as well as the training of Army initial-entry fixed-wing students. 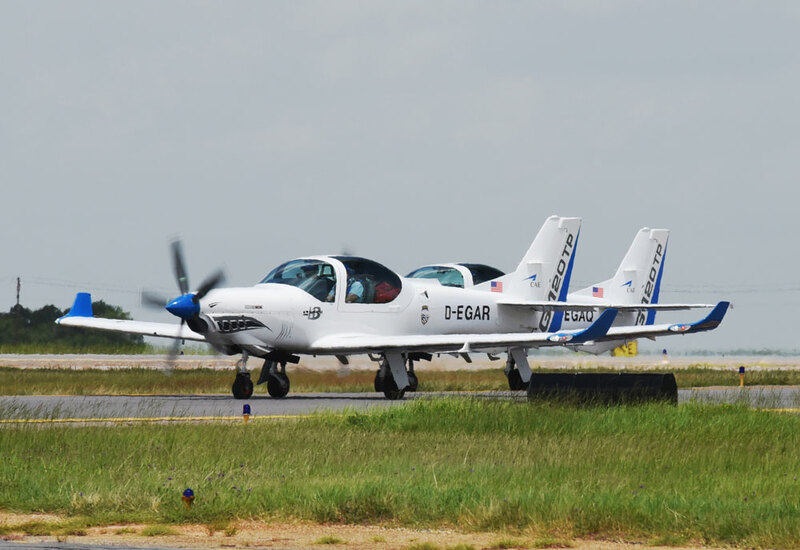 The practical portions of the UPRT program will be conducted in CAE’s six new Grob 120TP turboprop fully-aerobatic training aircraft and four CAE 7000XR Series C-12 King Air FFSs. Two of the C-12 FFSs feature CAE’s revolutionary roll-on/roll-off (RORO) cockpit design, which will enable cockpits representing various aircraft types to be used in the full-flight simulator. The CAE-built C-12 King Air simulators integrate CAE’s all-new UPRT Instructor Operating Station (IOS) enhancement, a powerful instructor technology jointly developed by CAE and APS to comprehensively analyze airplane upset events in real time during simulator training with UPRT events recorded for post flight debriefing. CAE’s Defense & Security business unit focuses on helping prepare our customers to develop and maintain the highest levels of mission readiness. We are a world-class training systems integrator offering a comprehensive portfolio of training centers, training services and simulation products across the air, land, naval and public safety market segments. We serve our global defense and security customers through regional operations in Canada; the United States/Latin America; Europe/Middle East/Africa; and Asia/Pacific, all of which leverage the full breadth of CAE’s capabilities, technologies and solutions.